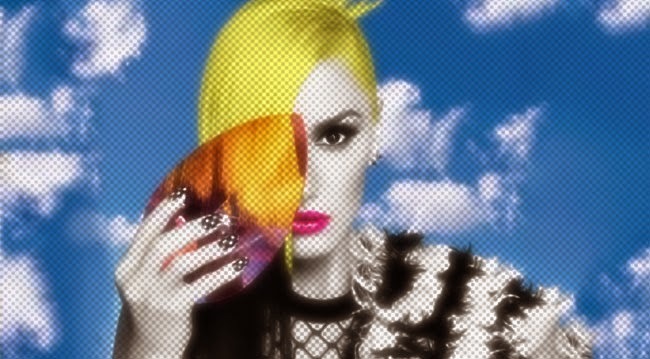 Diva Devotee: [New Music] Gwen Stefani Returns With New Single, "Baby Don't Lie"
[New Music] Gwen Stefani Returns With New Single, "Baby Don't Lie"
Anyone else remember Gwen Stefani saying she was done with the solo stuff? Wait, let me confirm this isn't me making up rumors again...Ok, here it is: No Doubt's Gwen Stefani: 'I never want to make another solo album' . I guess the exposure from being a judge on The Voice USA was too much of an opportunity not to capitalise on. Smart. The first single to be lifted from her upcoming third solo album is the Te Amo-sounding Baby Don't Lie. Produced by Ryan Tedder (Bleeding Love) and Benny Blanco (Black Widow), the song doesn't exactly scream "hit" like her last two leads, the still-brilliant What You Waiting For? and the terrible, but catchy Wind It Up, did. Still, it does have the right feel and tempo for the colder season we find ourselves in up in the Northern Hemisphere, so maybe that'll work in its favor. I'm not hopeful, though. On the other hand, I could be vastly underestimating the demand for the return of No Doubt's frontwoman, and Baby Don't Lie may end up being a massive hit with 51564 billion sales.....anything's possible, I suppose.